You know that thing that Ed Sheeran does at gigs, where he records something into a loop pedal and then plays something else on top of it? And then plays something else on top of that? 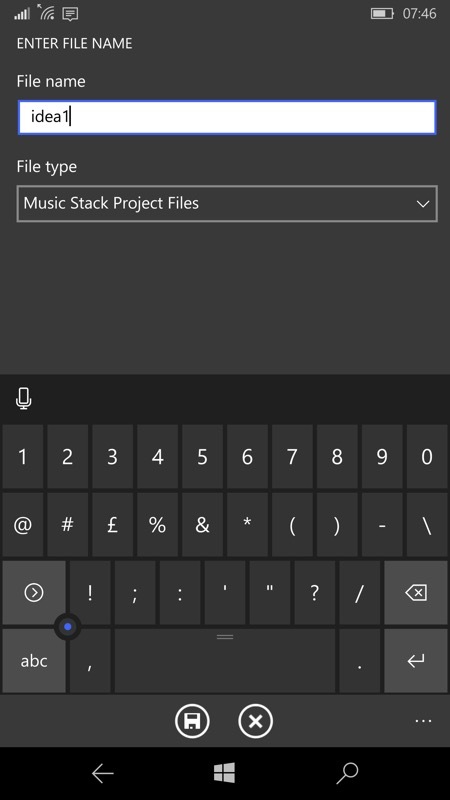 You can do this now on your Windows 10 Mobile phone with Music Stack, a new UWP app (via). I should point out that, while it works really rather well, it's also something of a 'version 1', there are obvious things missing and it's unstable like you wouldn't believe. But hey, this is rock'n'roll, eh? The concept isn't new, of course. 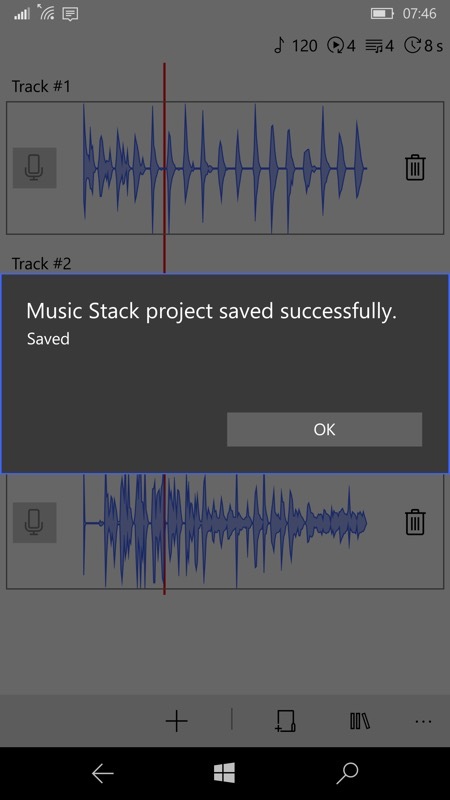 I've used multitrack recording gadgets and software for years, I've been using Loopstack over on my Android phones, but this is the first time that I've been able to do something similar on Windows 10 Mobile. 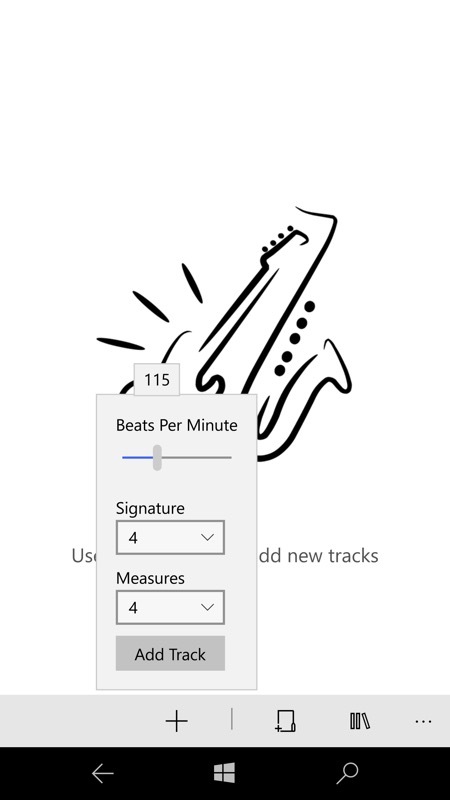 The idea, just to be clear, is that you specify a given tempo, beats per bar and number of measures (i.e. 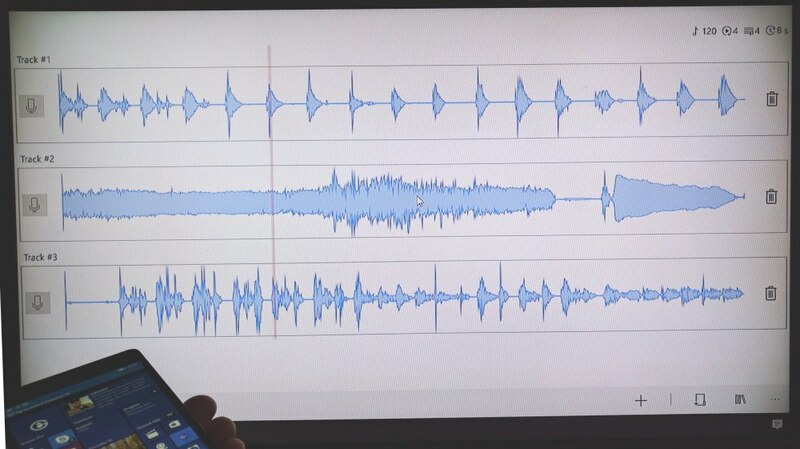 a length of musical time) and then you hit the microphone icon and record something (e.g. a guitar track) in your allotted time/space. Then you hit the mic icon again and record something else, perhaps a vocal idea, then rinse and repeat for other ideas, for a bass track, for some percussion ideas, and so on. And all the while, playback is continuing while your arrangement builds. 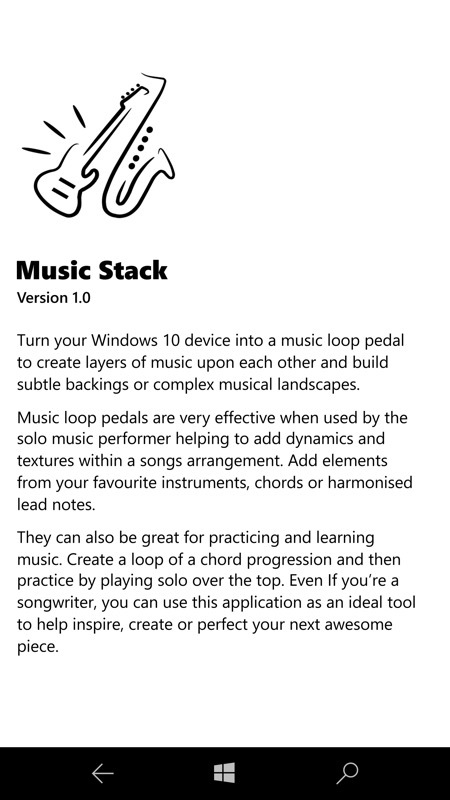 Mind you, if you were wanting a full music looping solution on a full laptop then there are other, much more comprehensive Win32 solutions, albeit more expensive (Music Stack here is £1.50 with a 7 day free trial as well). 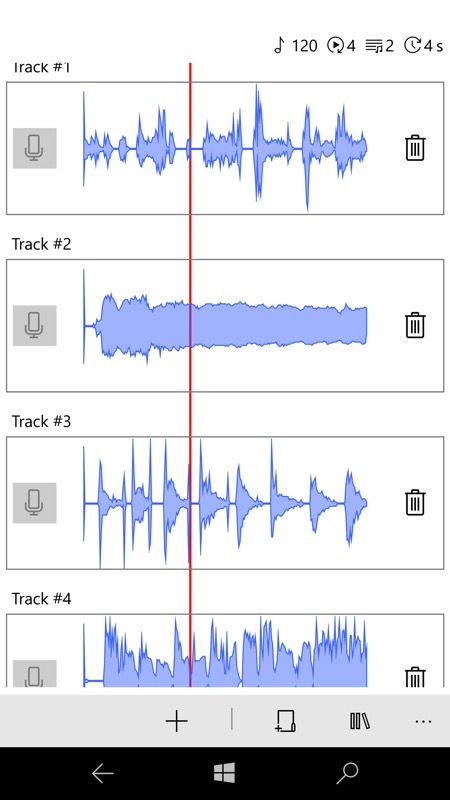 There are few frills to the interface - it's tap and tap the mic again to start recording, tap twice to add another track, and so forth. One of the high quality microphones in the phone is used to capture the audio, in mono, in each case, and with a choice of sampling quality. The whole point of Music Stack is to capture musical ideas, not to be a multi-track studio, so considerations like using lower sample rates in order to save storage space make sense. On the menu is the facility to export your idea as a standard WAV file, with each sample also exported as a separate WAV, should you wish to combine them differently later in a different application. Plus you can just opt to save the whole thing as a Music Stack project and then re-open it at any point, perhaps to add another layer. This all sounds idyllic, though there are some serious caveats here over stability. 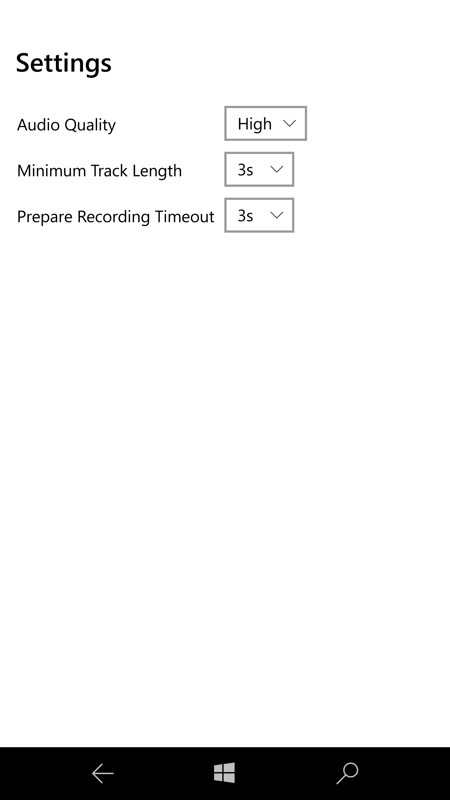 Merely letting the screen timeout is enough to stop playback and then you often have to kill and relaunch the application to get the audio playback working again. More than once, the application simply crashed, losing my 'work' so far. Admittedly, I was testing this on a 'Fast' ring Redstone 2-running phone, plus this is evidently a 'version 1', so I'm going to cut the developer some slack - I'm sure future versions will improve stability markedly. While the developer is beavering away (and bug fixing), there are plenty of obvious things to code in. A dark theme, to save wasting all this power on AMOLED screened phones. 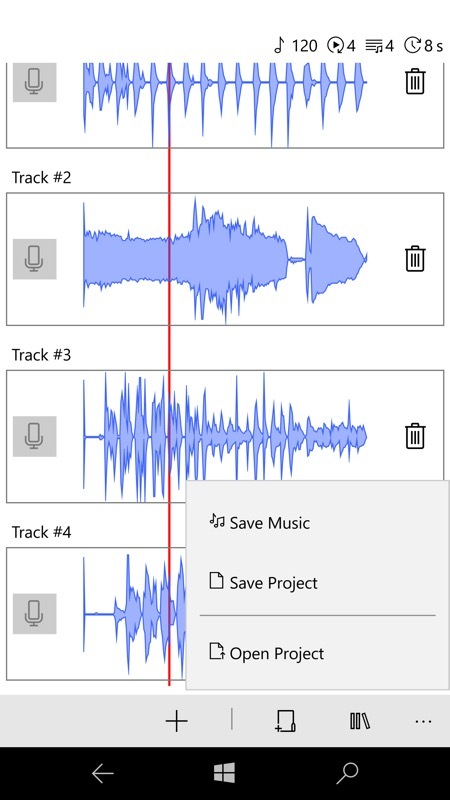 Plus a way to mute a track during playback (perhaps toggling between different vocal ideas), or even to add a volume slider to each, since at the moment there's no volume control or mixing adjustment at all. 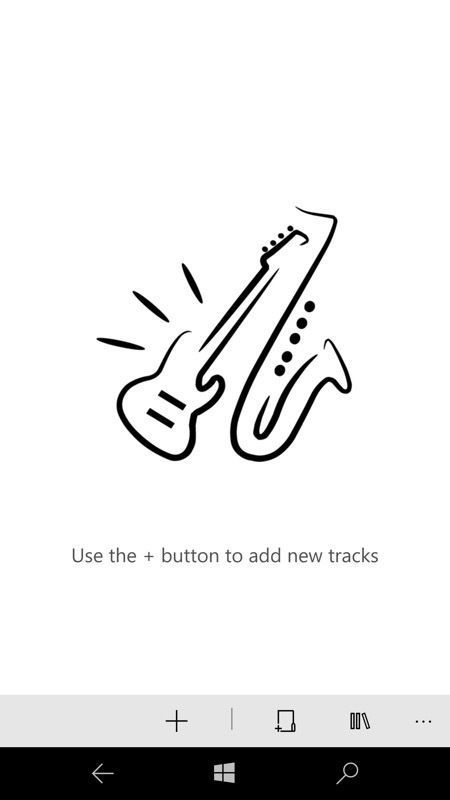 I've previously looked at another UWP app with far greater pretensions, FL Studio Mobile 3 - this is a much bigger application and more polished (and more expensive), but at the risk of losing the simplicity of sitting down with one's instrument in a quiet corner and 'putting down some ideas' with no frills and no pack drill. Which is where Music Stack comes in (in theory) - once it's fully stable and reliable then I can see a place for this in my app stable. PS. The low score above is purely down to the issues I faced - I'll update this review and score in due course, as Music Stack is updated.